Traditional, Craftsman, Contemporary, Victorian, Casual, Formal – it’s all in the details. Custom millwork. Whether you need to replicate pieces for historical restoration, are remodeling, or are designing for new construction, we can meet your needs. You are welcome to visit our showroom in Mars, PA to see our products and talk with our experienced staff. We can help you find what you are looking for and give you ideas for your project. A home makes a statement of who you are. 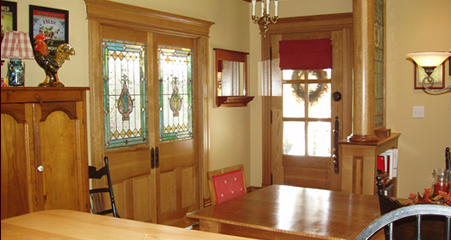 We can provide beautiful wood products that will help make the interior and exterior of your home reflect your taste.